Life at the beach is easy and laid-back, and your accommodations should be as well! Hammock Carriage House offers the perfect place to rest your head after a long day spent at the beach. 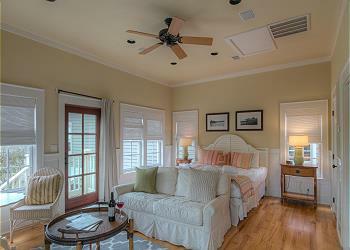 The Abaco Pearl Carriage House boasts style & comfort. Whether coming to Rosemary Beach for a romantic getaway or family vacation, the Abaco Pearl Carriage House won’t disappoint. Enjoy gulf views from almost every part of the condo and get ready to put your feet up and let your hair down at this beautiful beach retreat. Step into a coastal dream at the LaBarre Carriage House in Rosemary Beach. The stone flooring, balcony views and bright colors give it a fun, beach vibe. Not to mention it’s located 3 houses from the gulf! The Uncorked Carriage House is a quiet & comfy option in the iconic town of Rosemary Beach.Don’t miss the chance to experience Rosemary Beach at the Uncorked Carriage House, perfect for small families or a romantic couple’s getaway! Come get away to one of the most awe-inspiring beaches along the Emerald Coast, WaterSound Beach. 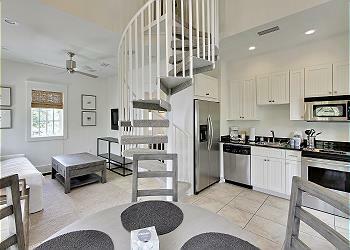 The Watchtower Carriage House has everything you need for a memorable beach vacation. 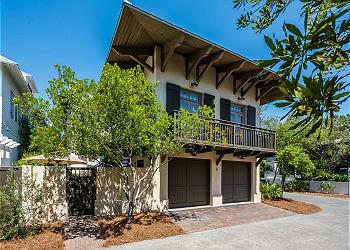 The PTO Carriage House is a quiet & comfy option in the iconic town of Rosemary Beach. Don’t miss the chance to experience Rosemary Beach at the PTO Carriage House, perfect for small families or a romantic couple’s getaway! The perfect beach hideaway is only one click away! 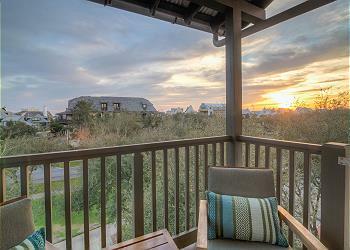 The Hideaway Flat in Rosemary Beach features 2 bedrooms, 2 baths and tranquil 3rd floor balcony views of the St. Augustine Green. Receive two complementary adult rental bikes when you book this unit! 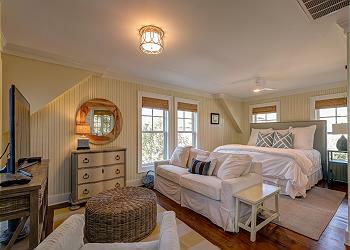 Come and enjoy this wonderful, new redesigned large two story carriage house that accommodates six comfortably. Professionally decorated and flooded with light, when you vacation here you will truly feel you are at the beach. 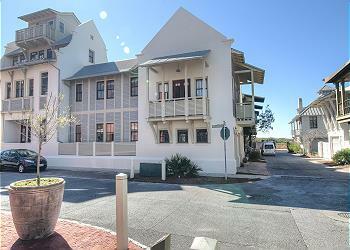 Gen's Loft is a new completely redesigned Rosemary Beach Loft in the heart of Barrett Square!! 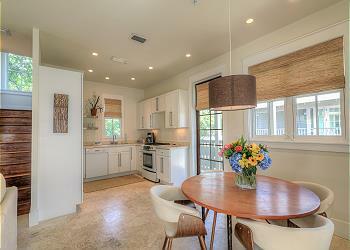 The remodel was just completed by 30A Interiors and everything is brand new! The Southern Serenity Carriage House was just completely remodeled by the famous local design firm Tracery Interiors in the spring of 2017. This Carriage House sleeps the largest amount of guests of any carriage house in our program. This newly renovated and decorated home is luxuriously spacious and elegant. HighPointe 32W located on the 3rd floor of the West Building of the High Pointe community. View of the gulf greet you from the from the moment you walk through the door.